How to get maximum casino comps and slot club benefits for minimum investment. I used to be a relentless casino comps chaser without ever realizing any real benefits. My wife and I had slot club cards for half of all the casinos in Las Vegas. I signed up everywhere, from posh palaces like Bellagio and the Venetian to small joints like O’Sheas and Slots-a-Fun. Web sites, newsletters and other publications regularly advise where good slot and video poker casino comp deals are available at any given time. One place has the “best” machines, the next offers triple bonus points on a given day of the week, while another gives you a free hot dog and beer if you purchase $10 worth of coins. 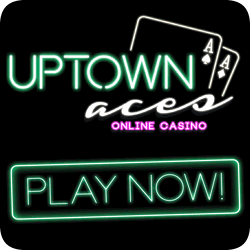 Use your PC to find the best Las Vegas deals! By chasing all of these casino comps come-ons I ended up spreading my meager gambling stake too thin. The end-result was that nobody ever mailed me any invitations to special events or sent any casino comps coupons that were of real value. Every one of the casinos whose slot club card I carried had no indication that I was a prospect worth wooing. My wife and I always booked the lowest-priced all-inclusive charter flights to Las Vegas; we didn’t really care which hotel we stayed at. They were all nice and we’d spread our gambling dollars all over town anyway. Then we discovered one place we liked better than most. Whenever we could get cheap air-only fares, we’d book into our newfound favorite casino-hotel. We became repeat customers, and although our gambling was limited to $100 each per day, slowly the casino comps started to become a factor. On check-out we’d find that we’d accumulated enough slot club points to pay for some of our restaurant bills and the cash back might cover one night’s room charge. We were happy. Then, several times a year invitations began arriving in the mail offering a complimentary room for two or three nights, sometimes combined with free participation in a slot or video poker tournament. We started to appreciate the value of casino comps. Because we did all our playing at the place where we stayed, our slot club status had been elevated to the next level. This also meant that, by showing our “preferred player” card, we could use a special rapid hotel check-in counter and bypass the lineups for the restaurant or coffee shop. A casino comps perk we liked very much! Now we’d come when the accommodation was free, use our casino comp points to take care of the restaurant bills, and the cash back would cover tips and incidentals. We were happier, especially when, from time to time, we’d go home with more money than we came with. My wife and I always limited our daily stake to $100 each. That meant playing mostly quarter slots and video poker. One day I was doing exceptionally well on a 25-cent video poker machine, my credits had built up to where I was ahead by more than 400 coins in very short time. I decided to exchange my quarters for dollars and risk $100 on a dollar machine. At $5 a hand, my $100 was quickly down to $25. Then I got a Full House, followed by a hand where the only card worth holding was the jack of diamonds. Unbelievably, I was dealt the other four cards to a Royal Flush for a $4,000 win! Since I’m a Canadian citizen, the casino is required to withhold 30% tax right on the spot. Collecting 28 crisp $100 bills, I was so elated I generously shared by giving back $300 in tips. Still, I now had a $2,500 gambling bankroll. The first time I came back to the casino, after that $2,500 net win, I sat down at a $1 Deuces Wild machine. Within minutes I collected $1,000 for getting Four Deuces with five coins in. An hour later I was ahead by another $500. Later that same day I hit Four Deuces again. I had now better than doubled my $2,500 stake and I was so ecstatic that, for the first time ever, I dared to play a $5 Jacks-or-Better machine. Putting $25 a hand on the line really got the adrenaline going, especially when I lost $500 in a hurry. Next I dropped a hundred $5 tokens into a regular reel slot machine. No luck there either, but I still ended the day showing a princely profit. I spent the next three days rotating between the casinos $1 video poker machines with decent pay tables. Hit the Four Deuces $1,000 mini-jackpot once more. The rest of the time was uneventful, but overall I made a net profit of over $4,000 in three days, plus the casino comps rating improved dramatically. What happened next is interesting. A few days after returning home we got a phone call from a man who introduced himself as “our” casino host. He gave us his direct-line 800 number and said to call him when planning our next visit. He’d personally look after our reservations and “anything else we’d need”. Soon the mail kept bringing invitations for “invited guests only” slot, video poker and blackjack tournaments and special attractions like concerts or sports events. Every invitation always ends with the sentence: “Your usual complimentaries apply”. We didn’t know exactly what that meant, until we signed up for our first invitational slot tournament and discovered that absolutely everything was free, including room service and dinners and drinks in their upscale restaurants. We had made it to VIP status. Of course it didn’t last. The high point was when in one day we hit two $4,000 Royals and two $1,000 Four-Deuce mini jackpots, for a total of $10,000. Other trips we’d lose a few thousand dollars, but overall we were lucky enough to be able to recycle the same money for a period of nearly three years. Eventually our luck ran out and the free ride on casino comps came to an end. I always knew it would, but it was great fun while it lasted. It was amazing that it lasted as long as it did.